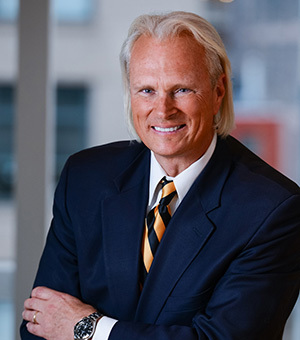 Commissioner Bart Chilton is an author and financial, political and policy writer, commentator, speaker and consultant. 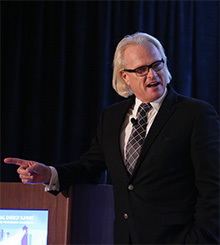 At the Commodity Futures Trading Commission he headed the Energy and Environmental Advisory Committee and the Global Markets Advisory Committee. He has served on multiple local, federal and presidential campaigns, the Obama presidential transition team, and in the US House, Senate and Executive branch. His subject matter expertise spans from politics and policy—specifically US and global financial markets, agricultural, energy and the environment and transportation to music, movies and pop culture. Commissioner Chilton is known for his individualistic approach to financial regulation, his myriad media appearances, speeches and frequent opinion editorials. He regularly cohosts and appears on business television programs. His creative and policy-driven speeches have received wide acclaim. From 1985 to 1995, Commissioner Chilton worked in the US House of Representatives, serving as legislative director for three different members of Congress and as the executive director of the bipartisan Congressional Rural Caucus. From 1995 to 2001, Commissioner Chilton was a Schedule C political appointee of President Bill Clinton, rising to Deputy Chief of Staff to US Secretary of Agriculture Dan Glickman. In this role, Commissioner Chilton became a member of the Senior Executive Service (SES) – government executives selected for their leadership qualifications to serve in the key positions just below the most senior Presidential appointees. From 2001 to 2005, Commissioner Chilton was a Senior Advisor to Senator Tom Daschle, the Democrat leader of the US Senate working on myriad issues including agriculture and transportation policy. In 2005-06, he was a Schedule C political appointee of President Bush at the US Farm Credit Administration, where he was Senior Assistant to the board. In 2006-07, prior to being confirmed as Commissioner, he was the Chief of Staff and Vice President for Government Relations at the National Farmers Union, where he represented family farmers. After Commissioner Chilton’s time in government, he served as senior policy advisor at the global business law firm DLA Piper. He previously served on the boards of directors of Bion Environmental Technologies and the Association of Family Farms.